Leeds, UK band Eagulls practice a brand uber-hooky, ’90s-style shout-alongs with a dose of dour ’80s post punk in there too, as can be heard on the two 7″s and one EP the group have released to date. The band made their stateside debut back in March at SXSW (they were one of our 40 bands to watch you may remember) and are planning on visiting NYC for CMJ in October so look out for them then. 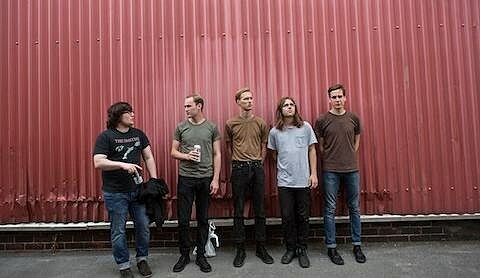 Meanwhile, Eagulls have signed with Partisan Records who will release their debut album in 2014. While they’re finishing that up, the band have a new UK-only single, “Nerve Endings,” that will be out September 30 with a cover of Killing Joke’s “Requiem” on the flip. You can stream stream the A-side, and a couple other videos, below.